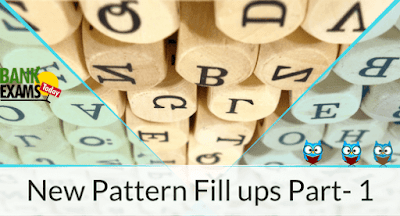 Directions: Find out a pair of words from the given options that can appropriately fit in the given fill-up. The action suggests the high court could ………. the latest version of the ban that Donald Trump announced in September. Mr Gandhi, who started his political career as a Lok Sabha member in 2004, faces the ……… challenge of reversing his party’s political fortunes. We know that there are challenges before the country as we have a government that has failed to deliver and there is …….. on democratic traditions and founding principles of the Constitution. By watching the footage, restorers got a …….. into the magnificence of Mumbai’s opera house, which reopened last year after seven years of painstaking work. The roof was leaking and interventions in the decades after independence had …….. and damaged its original design. The breakdown of government services, lack of drinking water and a …….. health sector, besides the miseries of civil war and aerial bombardment, are fast turning Yemen into a failed state, and a breeding ground for extremist groups such as al-Qaeda in the Arabian Peninsula. Anticipating difficulties that would be faced by people, particularly those who change cities ………, the RBI is yet to come up the operational guidelines, even six months after the government issued the notification. The Centre on Monday informed the Supreme Court that it is finalising a National Policy on Drug Demand Reduction to ……… the rising menace of drug and alcohol abuse, especially among children. Officials of the health and social welfare departments have been ……….. to undertake chlorination in the affected areas.